13.3 Вт⋅ч, 3500 мА⋅ч литий-ион., время разговора в сети 3G (сведения производителя): 23.8 час. Future+. If we had to narrow down HTC to a single quality it would be innovative, and the HTC U12+ definitely fits that bill as well and is full to the brim with the latest technology. Let us find out whether or not it is as futuristic as it seems at first glance. Update: additional information regarding the 3.5-mm headphone adapter added. Когда-то давно именно благодаря HTC Android превратился из сомнительной альтернативы коммуникаторам в систему для качественных смартфонов. Но те времена давно прошли, и сейчас умирающий HTC собрал последние силы, чтобы выпустить свой лучший смартфон 2018 года. Душу вкладывали не зря — после использования U12+ часть людей начнёт его обожать, остальные — ненавидеть. К какому лагерю примкнёте вы? The HTC U12+ makes improvements over its predecessors with a slimmer body with a refreshing see thru design not seen on smartphones. HTC’s display provides accurate colors and supports HDR content which is great. Unfortunately the U12+ relies a good deal on squeeze and pressure sensitive features which can be a turn off for some. Those buttons are hard to adapt to. Its stand out those is the camera which takes superb detailed images and doesn’t go overboard with colors saturation. Realistically, there are a few other Androids we’d recommend at this price — the Samsung Galaxy Note 8, Google’s Pixel 2 XL and Huawei P20 Pro are all excellent options. But if you’re chasing top audio performance and an awesome screen, or are dead keen on translucent finishes and, er, squeezability, then you should pick up the HTC U12+. The new HTC flagship does incorporate a unique interaction mode with the aluminum frame and instead of using regular buttons, it comes with pressure-sensitive sensors instead. It comes with a 6 inch Super LCD 6 screen that sports a resolution of 2880x1440 and an aspect ratio of 18:9; the pixel density is 537 and two color gamut presets are preloaded into the software distribution (DCI-P3 and sRGB). The included BoomSound speakers sound loud and clear, while the USonic earbuds audio signature can be fine-tuned on our liking and are the ideal companion when commuting to work. The HTC U12+ is a great phone, with the exception of two fatal flaws, which are the pressure-sensitive buttons and Edge Sense. This device is absolutely beautiful with its translucent body, along with the Super LCD6 display. BoomSound adds to it for a great audio experience, and the USonic headphones are a great addition. The HTC U12+ is a powerful phone with a good main camera and great display, but the zoom camera lets things down. Edge Sense means some inconvenient compromises and overall it just feels a little more chunky than it needs to be. HTC has produced a decent phone with a few problems – mainly the twitchy side buttons, annoying preloaded apps and the lack of a 3.5mm headphone adapter. However, if you’re after a phone with a truly incredible camera or a lot of processing power, the U12+ offers an interesting alternative to its more expensive competitors. Coming in at around AUD$1200 from HTC’s own website, it’s slightly cheaper than flagships from other manufacturers, but still not the best value for money. HTC’s U12+ is a solid phone if you can look past its few, but serious shortcomings. HTC has earned the description of “great phone” for the HTC U12+, but is it enough to get people to purchase it over the vast number of smartphones in that price bracket? It is a beautiful, stylish phone with some innovative hardware, fast and nearly-stock AOSP Android software. I applaud HTC for attempting to do something different with the HTC U12 Plus. The squeeze functionality is genuinely appealing and interesting, while the switch to non-mechanical buttons is sure to become more common in the coming years. 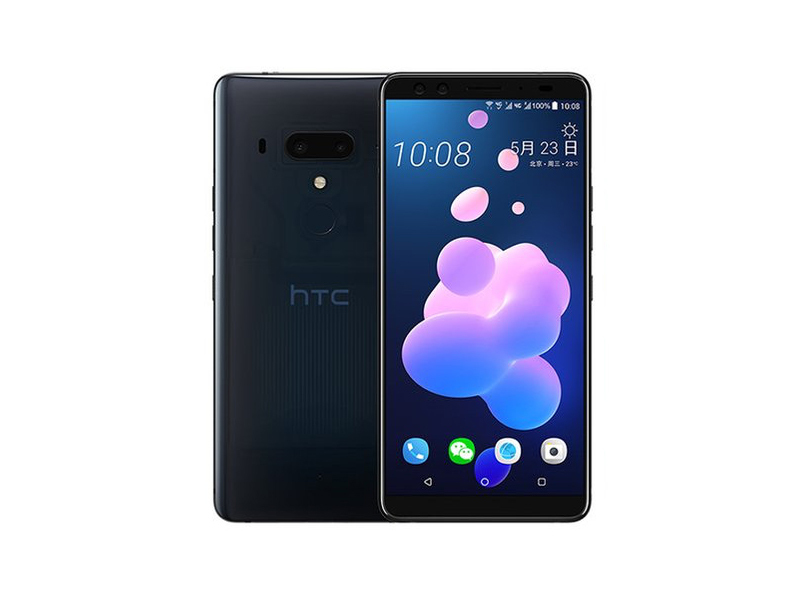 The HTC U12 Plus (U12+) is the latest in a long line of great flagship phones made by Taiwanese HTC. Its pedigree goes way back to 1997. It has been there since the beginnings of smartphones. Even if the U12+’s buttons weren’t its death knell, a 2018 phone with an LCD screen and an overweight OS is a tough sell at $650, let alone $800. Even though its name suggests there should be a cheaper model with a smaller screen available, there isn’t. Nor will there be. The U12+ will likely be the only U.S. flagship from HTC until the U13 next year, assuming there even is an HTC flagship in 2019. Now that HTC’s smartphone division has been ravaged by Google, it could be only a matter of time before the company simply stops making flagships. The HTC U12+ is definitely in high-end territory, but addresses a specific crowd because it has difficulties to compete on many fronts. While being a very good phone in general, it doesn’t have the best display, is not a feat of industrial design, nor has the best camera. It is therefore difficult, but not impossible,to compete in any combination of these niches. Without a doubt, the U12+ has an excellent camera and nice-looking hardware design. Last year, we loved the HTC U11 for its great battery life, excellent camera, and attractive dual-glass design. Unfortunately, we can't say we're in love with the U12+ for these same reasons. There's no doubt HTC's U12+ does several things well. The big screen, BoomSound speakers and USonic earbuds make it very media and gaming friendly. The camera is excellent, and it's got the latest-and-greatest mobile chip, so performance is impeccable. However, it may be a little on the bulky side for some, and the Edge Sense features are hardly game changing. There are so many smartphones in the same league as the U12+ currently, including a new home run by OnePlus, it doesn't stand out from the crowd in any meaningful way. HTC's Desire 12+ is the latest smartphone offering from the company in the mid-range segment, but we feel that its asking price is too high for what it offers. The Qualcomm Snapdragon 450 SoC is available in significantly cheaper phones such as the Xiaomi Redmi 5 and Oppo A71 (2018). The HD+ display is disappointing. If you are in the market for a smartphone with a budget of around Rs 20,000, you might want to choose between the Redmi Note 5 Pro (Review), the Moto X4 (Review), and the Oppo F7 (Review) instead. So this is HTC's big play for 2018, its lead flagship model, and the showcase for all its best technology, features, gizmos, and capabilities. Does the HTC U12+ have the chops to revive HTC's market presence and take the company forward? While the HTC U12 Plus is one of the most unusual phones you can buy, it lacks the refinement to truly compete against Samsung, LG and OnePlus. The HTC U12+ is a phone that can take amazing pictures consistently, has fast, attractive software, innovative hardware and to top it off, looks great. Unfortunately I have to put a “HOLD” on recommending purchasing this phone — until HTC manage to fix the Edge Sense 2.0 and the pressure sensitive buttons issues I cannot recommend it. Hold out to see if HTC can bring the fixes required to make it great. If they can fix the touch issues then there is no doubt in my mind I could easily recommend this phone to anyone. It’s a shame then that HTC falls down when it comes to execution. The haptic buttons, for example, are really a pain to use and Edge Sense doesn’t work as you’d expect 100% of the time.Add to this the disappointing battery life, a version of Android that lacks the polish of the competition, and no wireless charging. The HTC U12 Plus simply isn’t good enough – even for HTC die-hards, we fear. Cameras and hardware design aside, we are so disappointed in this phone. The U12+ reaches for a high bar with excellent cameras, powerful performance and beautiful design, but falls short where it matters for many potential buyers with frustrating buttons, underwhelming battery life and a duller-than-average display. The fact that it's not available to order through carriers and is only on sale online makes the U12+ an even tougher sell. The phone feels great in the hand and the new buttons are unique. The dual camera setup takes stellar pictures and the phone is such a powerhouse. The questions about HTC’s future as a phone maker will persist, but they would have been much more vexing had the company produced a compelling phone with the U12 Plus. Instead, HTC has given us plenty of its signature design, spec, and camera strengths, encumbered with a heavy dose of software bloat and one inexcusably bad design decision. I’ve long been a fan of HTC’s work, but it feels like the time has come for us to recognize that the company’s bleak future as a phone maker is of its own making. I've been using devices created by HTC since 2001 so I'm a fan. That said, I did not keep the HTC U11 around and don't buy devices just to sit on shelves. Although the company has been struggling financially and releasing fewer devices, this review is judging the HTC U12 Plus and not the company. The U12 Plus is a fantastic piece of hardware and if the unique features I listed above are important to you then go try one out. If the list of bothersome things irks you too much, then move along and look at something from Samsung, LG, Moto, Huawei, or others. The HTC U12+ is an intriguing device with a very cool paintjob. Seeing that screen come to life with vibrancy and detail is quite pleasing. Then we have the fun stuff, specifically Edge Sense, which also turns out to be pretty versatile and useful. The camera is key here: if it’s great, I can forgive the lack of design innovation and other standout features. But if it misses the mark, there’s really little here to entice. At the moment, HTC has yet to unveil the price of the phone in Malaysia but expect it to carry a premium price tag since U12+ is priced at USD 799 (about RM 3,184) for the 64GB model and USD 849 (about RM 3,383) for the higher-end 128GB model. More details regarding the phone should be out very soon though since U12+ is scheduled for release in Malaysia by the end of June 2018. This is a tremendously pretty, well-crafted and capable phone, offering nearly all the top features we like in high-end smartphones (wireless charging aside). The audio quality is incredible, the camera decent and the screen good enough – but there's little here to really wow. HTC's new flagship doesn't push the envelope, but then again, there aren't many new smartphones reinventing the wheel. Samsung and Apple continue to offer refinements rather than revolutions, but they do offer markedly improved performance with each iteration as well. An evaluation HTC U12 Plus arrives this week so stay tuned for our full review in a week or so. Please leave any questions you may have as I spend the Memorial holiday weekend putting it through its paces. In as few words as possible, we kinda like it, the HTC U12+. It's by no means radically different from the U11+, but we've learned not to expect major changes, and no notch is always a welcome lack of change. With dual cameras front and back, the new model is no longer underequipped to fight the competition in the faux bokeh area, and the edge squeeze features can actually be useful, sometimes, maybe. The HTC U12+ hardware and design allow it to compete at the high-end. HTC has carefully crafted this phone to retain the favors of its fan base, and potentially attract newcomers. The integration of Edge Sense 2 and its flexibility can be addictive, and the overall design of the phone is very agreeable for large-display phone users. The HTC U12 Plus will be available on their official website and via Amazon for $799, while the 128GB Translucent Blue model will go for $849. For more pricing details head here. In the meantime, stay tuned for our full review a bit later. After Google snatched up HTC's smartphone design team to the tune of $1.1 billion, you'd be forgiven for thinking the company would turn its attention elsewhere — perhaps to focus more on its trailblazing virtual-reality efforts. HTC has struggled in recent years, there's no avoiding that. The company may now be a victim of its own success, but even so it continues to innovate. It innovates in design, with subtle touches like the delicacy of the glass colouration or changing of these side buttons, which it rarely gets credit for. My recommendation: It’s a good flagship glass slab worthy of consideration if you don’t want a 3.5” audio jack (HTC says you want better sound from the USB-C port and supplied dongle) or wireless charging. Its Edge Sense may tip the scales in its favour. After the latest deal with Google on personnel, the next flagship out from HTC is the U12+, succeeding the squeeze-focused U11 and U11+ from 2017. For this generation HTC will only launch a single model called the U12+, rather than a U12 now and another one later, with the company citing that it felt too many of its enthusiast users would wait for the plus model, so instead they have decided to just go with a singular unit with the upgraded name. The headlines on the U12+ include a quad camera design, an upgraded Edge Sense detection system, a Qualcomm Snapdragon 845 SoC, an IP68 ingress rating, and an upgraded BoomSound experience. We had the chance to get a hands-on with the device at a briefing last week. 80% HTC U12+ Nicht mehr alle Tasten im Schrank? Schafft HTC den Anschluss an iPhone und Co.? Schafft es HTC damit zurück an die Spitze? 90% Test HTC U12+ : toujours partant pour une bonne pression ! 85% مراجعة للهاتف HTC U12 Plus ممتاز ولكن!